Winter Park Therapist: Brian Murray - Therapist 32789. Send A Message To Brian. 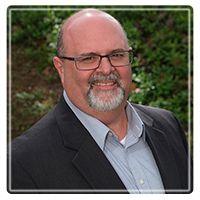 Brian Murray is committed to providing professional and compassionate counseling to help you through many of life's issues. Brian believes that empathic listening along with careful reflection and understanding are paramount to the client's healing experience. Everyone has a story about their lives, and it's these stories that reveal the hurt, healing, triumphs, disappointments and successes that we all experience at one time or another. Your story will reveal how your experiences have influenced your beliefs, ability to resolve and also to how you have become stuck and need the help of a professional to continue. Psychotherapy (talk-therapy) (counseling): The use of warm, compassionate listening to gain understanding of a client in a non-judgmental and supportive environment. Cognitive Behavioral Therapy: Helping clients make sense of what they are feeling and how thinking patterns influence these feelings. Very effective with anxiety and depression. Marriage & Couples Counseling: Exploration of relational dynamics to help improve communication and resolve interpersonal issues in the relationship.